We have big and exciting plans for 2019 and welcome any helping hand. In our meetings, we discuss how we can influence key politicians, progress on getting signatures for our petition, realise next steps in our event planning, brainstorm new strategic paths and we build on our the conceptual application of art. We’re open for anyone based in our home town Berlin but also volunteers joining remotely. We are currently meeting at different locations on a weekly basis. Please check the Facebook event section. We’re looking forward to meeting you! Do you sometimes feel overwhelmed by bad news? If yes, this is something we have in common. Our formula is to transform this energy into action. Getting active in a group is the best. Together we are strong. Maybe you’d like to apply the skills you have, just help out a little bit – or learn something completely new. We love exploring. Life’s here for us to learn! If your time is tight, the option of a donation is a helpful alternative. We finance our campaign material through our membership fees and any external monetary help therefore is like a gift to us. We’re grateful for any amount. Please find payment methods on our donation page. Let’s save the ocean together! If now is not the right time for you, we highly recommend to sign up for our newsletter. We would love to keep you posted with our ocean success stories! Copyright Ocean. Now! 2019. All Rights Reserved. We are asking the German Ministry of Environment in an open letter to ban “Microplastics in Cosmetics and Cleaning Products”. Help us and sign it here! Thank you. Ocean. Now!  works with the framework of the Paris Climate Agreement, more specifically Sustainability Development Goal 14 – “Life Below Water”. Curious? Learn more about our mission here. Do you ‘live’ Zero Waste? We do our best reducing waste and teamed up with Beabello. Beabello make plastic-free shampoo soap that is natural, locally sourced, handmade and organic. We highly recommend it! The good thing: For every soap sold, you automatically donate €1 to our campaign. Buy it here.